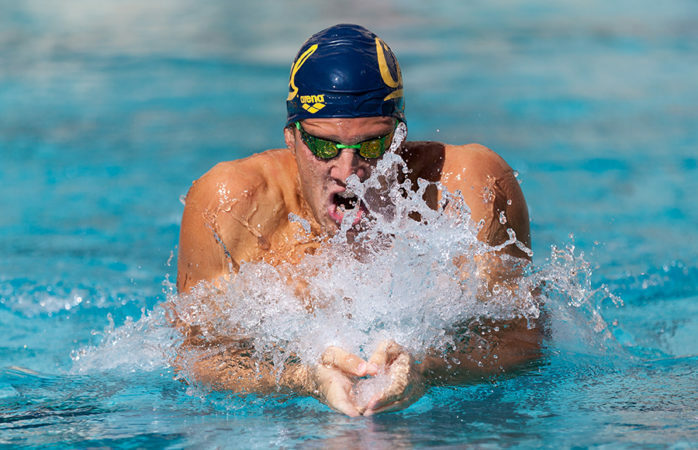 Although this weekend’s autumnal equinox will bring an official end to the summer, it marks only the beginning of the journey ahead for the Cal men’s swim and dive team. After a fourth consecutive second-place finish in last season’s NCAA championships, the Bears are looking to continue their success and pursue a national title in the upcoming season. Coming into the new season, Cal seems to be picking up right where it left off, as the team is entering the year ranked No. 2 in the nation. Though this ranking certainly reflects the high regard in which the Bears are held by the NCAA, it is still a notch below the team’s goal of being the best in the nation. And if being called second-best wasn’t tantalizing enough, it certainly doesn’t help that the only team ranked higher than the Bears is their most bitter rival: the Stanford Cardinal. During the offseason, the Bears lost key point-scorers Connor Hoppe, Matthew Josa and Justin Lynch to graduation. In last season’s championships, Lynch and Hoppe recorded the team’s top 100-yard freestyle and 100-yard breaststroke times, respectively. With these graduates no longer around, Cal will need to rely on its returning members and new recruits to bear the burden of leading the team to success in the new year. The Bears’ roster is equipped with 12 swimmers and two divers returning from last season’s NCAA travel squad. Early in the offseason, the Bears were able to land the nation’s No. 1 high school recruit, breaststroker Reece Whitley. 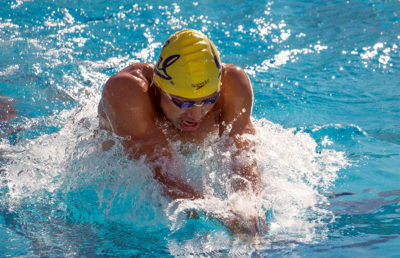 During his senior year of high school, Whitley broke the national high school record in the 100-yard breaststroke, with a time of just 51.16. 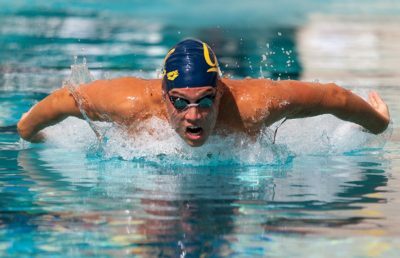 Although Cal’s budding star is primarily known for his breaststroke, he is far from a one-trick pony, as he happens to be the best 200-yard medley swimmer in the 2018 recruiting class, with a national high school record time of 1:43.55. In addition to Whitley, the Bears were also able to acquire some star power in medley and butterfly specialist Chris Jhong. This past year, Jhong recorded a 200-yard medley time of 1:45.5 and a 100-yard butterfly time of 48.3. Perhaps the most notable of the team’s returning divers are junior Connor Callahan and sophomore Johnny Robinson. Last season, Callahan posted the team’s highest scores in 1-meter, 3-meter, and platform diving, with Robinson slightly behind him in every category. 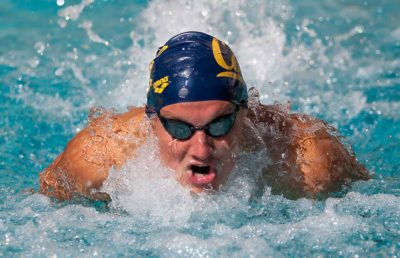 Of the returning swimmers, Cal will be expecting great things from senior Andrew Seliskar and sophomore Bryce Mefford. At last season’s NCAA championships, Seliskar recorded a season-best 1:31.28 in the 200-yard freestyle and a 1:50.42 in the 200-yard breaststroke. In the same event, Mefford recorded a 1:38.48 in the 200-yard backstroke. As a team loaded with young talent and featuring a head coach, David Durden, who knows what it takes to win, there is no reason that Cal cannot use this season to put together a successful campaign for its first national championship victory in five years. The journey begins Friday in San Luis Obispo, as the Bears will seek to upgrade from their silver status and truly be golden. Joey Patton covers men’s swimming and diving. Contact him at [email protected].